Fifth grader Lauren McCarthy, 10, left Fischer Elementary School in Walpole after the school let students out for an early dismissal due to the heat. With Massachusetts in the midst of a record-breaking heat wave, at least 20 school districts have issued early dismissals or class cancellations, some even on the first day of classes. “It’s hard to learn if you’re sweaty and uncomfortable,” said Robert Tremblay, the superintendent for Framingham Public Schools. “You worry about heat exhaustion. 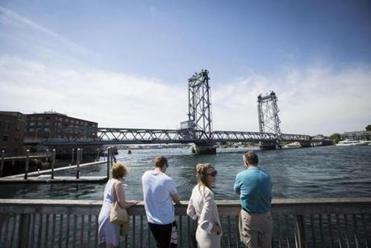 On Wednesday, the third day of the heat wave, the region continued to swelter, with the temperature reaching 98 degrees at Boston’s Logan International Airport, breaking the old record of 96 for the day set in 1953, according to the National Weather Service. Temperatures in the city hit 90 on Monday and 97 on Tuesday. On Cape Cod, Barnstable Public Schools canceled Wednesday’s classes, which would have been the first of the school year. The first day of classes will be Thursday, when the high is expected to dip to 84 degrees, according to the National Weather Service. Extreme heat is straining the city water system in Portsmouth, N.H., despite significant rainfall in past weeks. Lawrence Public Schools canceled classes for students in kindergarten and pre-K for the whole week. The rest of the students in the district, who started school Aug. 21, are being dismissed early Monday through Thursday. 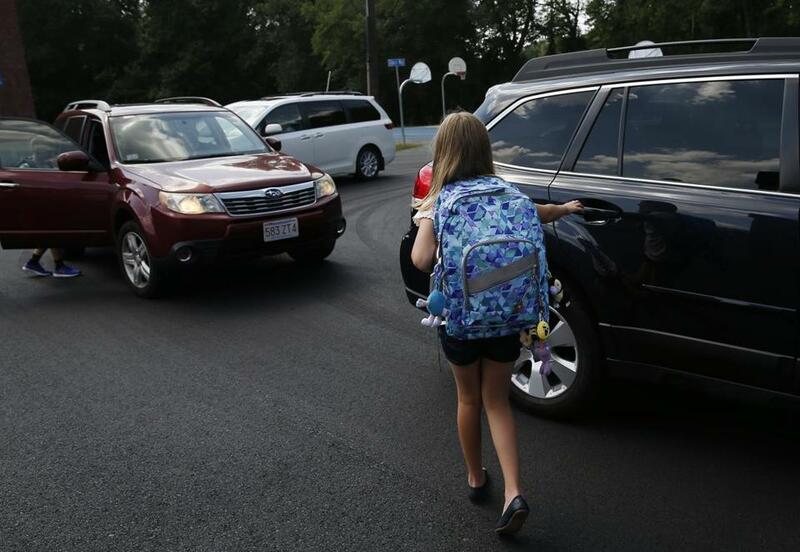 Among the districts having early dismissals on their first day of classes are Belchertown, Easthampton, Framingham, Greenfield, Lowell, Ludlow, Medford, Taunton, Walpole, and Wareham Public Schools. “I wanted to have an opportunity for kids to connect with teachers at least on the first day of school, and then get the bodies out of the room to cool them down a bit before tomorrow,” Tremblay said. While many school districts took preemptive action in response to the oppressive heat, Revere Public Schools is taking a more moderate approach that district officials hope will avoid burdening parents. But the district recognizes effects of the heat are serious. It is having reduced afternoon activities, including sports. Coaches will hold lighter practices in the district’s air-conditioned field house, consisting of team meetings and maybe some light drills, Kelly said. The first day of school at Fisher Elementary School in Walpole ended early, and some parents arrived for afterschool pickup around noon. Ed Sullivan, who works as a property manager in Shrewsbury, took the day off so he could pick up his 8-year-old son, Owen. With the free afternoon, Sullivan said he would have wanted to get in a few hours of football practice with his son, but the excessive heat pushed him to change the afternoon plans. The early dismissal also didn’t seem to bother Jennifer McCarthy, who works from home but said her afternoon probably wouldn’t be productive once her 9-year-old daughter Lauren got home. For Lauren, the week was shaping up nicely, McCarthy said. Friday will be her birthday, and students also had the day off. The soon-to-be birthday girl also might get a frozen treat after school that day. Danny McDonald and Emily Sweeney of the Globe staff contributed to this report. Andres Picon can be reached at andres.picon@globe.com. Jerome Campbell can be reached at jerome.campbell@globe.com.